• Victim applies for a loan and is approved instantly. • Fraudster then texts victim at phone number provided to them on “loan app”, letting them know they are approved and tells victim that they can have their funds “directly deposited” into their checking account via mobile deposit. • Victim gives fraudster log in credentials to complete the mobile deposit. Victim is told they have to send money back for processing fees, etc. in the form of either a money order, western union, or gift cards. • Fraudster registers the victim’s device for mobile deposit and deposits the fraudulent check. Check will then be returned as fraudulent and victim is liable for the funds withdrawn from the account. • Do not respond to “easy money” solicitations via social media. • Never give anyone your online banking or mobile banking login information. • If you receive a check with a request for the funds to be wired for the same dollar amount or an amount that could be less, this could be a scam. 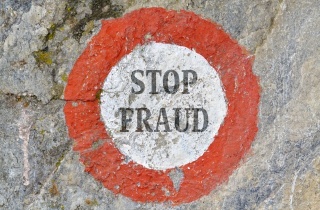 • Fraudsters have sophisticated technology and can make any counterfeit check look valid. When in doubt take the check to your local financial institution. We encourage our members to report any suspected fraud to GSCU or your local financial institution as soon as possible.